Rainbow Ocarinas™ are re-styled in celebration! The English Ocarina is one of the simplest, cleverest musical instruments ever invented. Newly re-styled for 2013, Oc® are even more robust, even better tuned, of outstanding quality. Thank you to Dudley Associates, UK manufacturers of Rainbow Oc®, for making ocarinas for the event. Thank you to Signature Ribbon for supplying ocarina strings. Thank you to the Schools Music Association for partnering Ocarina Workshop in this World Record Attempt. Thank you to Barnardo’s for including ocarina-playing in their suppporters’ concert. Thank you to Music for All helping us involve everyone in playing musical instruments. Thank you to Stanley L Hunt Printers for printing the ocarina music pages. 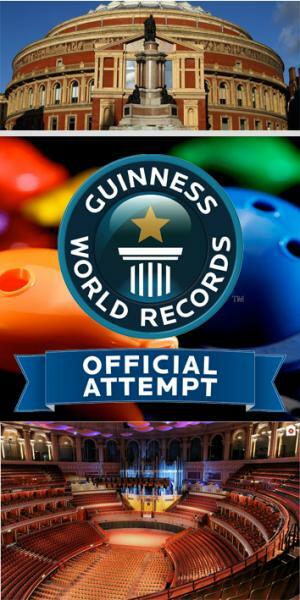 Thank you to the Ocarina Workshop® team for making this World Record Attempt possible. If you want to practise in advance, have a go at Twinkle Twinkle, Ode to Joy and New World, all in Play your Ocarina Book 1 (pages 5, 26 and 27). The teaching resources here will help you prepare for the day! For any further information about this GUINNESS WORLD RECORDS™ record attempt, please email info@ocarina.co.uk or ring 01536 485963.